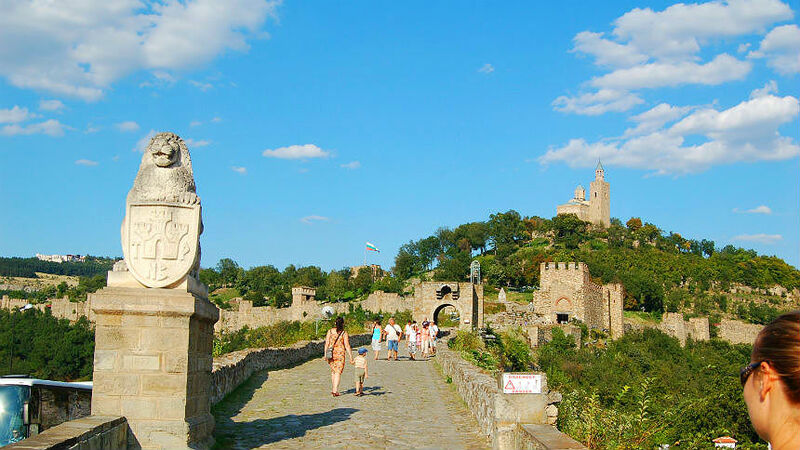 Daily Tours To Veliko Tarnovo And Arbanassi From Sofia. One-day Trips. Veliko Tyrnovo is a trap, which will teleport you back in time, to make you a spectator of the rise and fall of the mighty capital of the Second Bulgarian kingdom (12-14 century). By walking on the winding cobble streets, you will learn and feel how its proud population lived under the Turkish oppression, developing fabulous architectural masterpieces and established cohesive and powerful craftsmen’s guild. 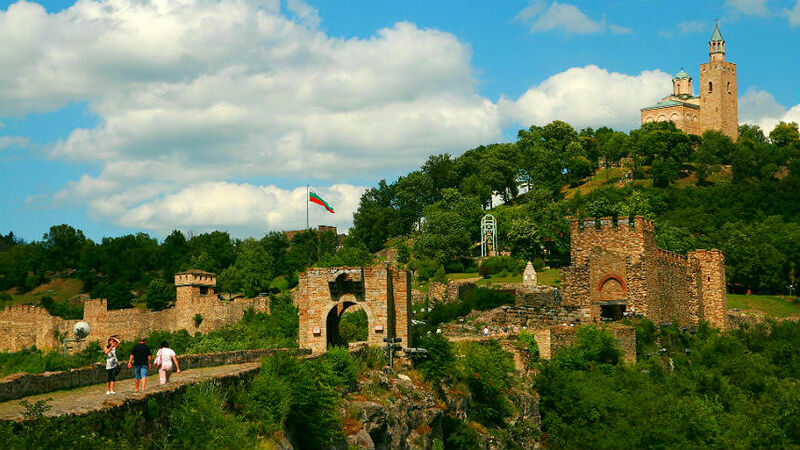 The legends and stories, the interesting history and picturesque location of Arbanassi and Veliko Tyrnovo had gained them numerous fanatical admirers in Bulgaria and abroad, making the region a top tourist attraction on the Balkans. Despite the long transfer time, our intensive itinerary makes every minute worth it. 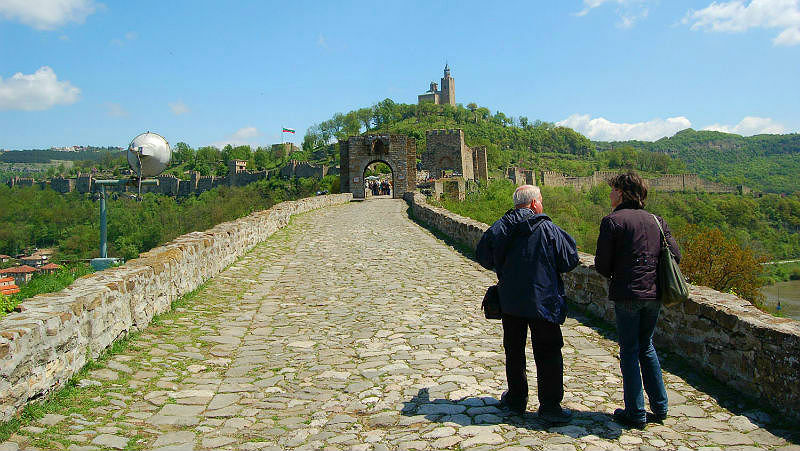 The tour includes the most important sights: Tsarevets architectural and museum reserve (medieval stronghold), Samovodskata charshia (lively craftmen’s street), Assens’ monument and the museum village of Arbanassi – famous for its 17th and 18th architecture and the unique Church of the Nativity of Christ, with well preserved murals depicting over 2000 Old and New Testiment scenes. Pick up: 7:00 am from the backside of Alexander Nevski Cathedral (Restaurant La Cathedrale). Hotel pick up is optional. The expected time of return in the Bulgarian capital is between 18:30-19:30 pm. Price: 1 pers. - 180 Euro; 2 pers. - 99 Euro/pers. ; 3 pers. - 80 Euro/pers. ; 4-7 pers. - 65 Euro/pers. ; 8-12 pers. - 60 Euro/pers. The price includes: English speaking guide throughout the tour and transportation costs. Not included: Meals, drinks etc. personal expenses.